good feeling for whether or not the person is right for the position. is your situation, share Choose to Teach Music with your principal. These materials can help your principal ask bet- ter questions and hopefully make a more informed deci- sion. It might also get him or her thinking about including you in the process! or strings for instrumental positions could be included. Often, a truer picture of a candidate’s strengths and weaknesses is learned in a few minutes of performance than from an hour of questions and answers. of interviews and offered the position. Stop! 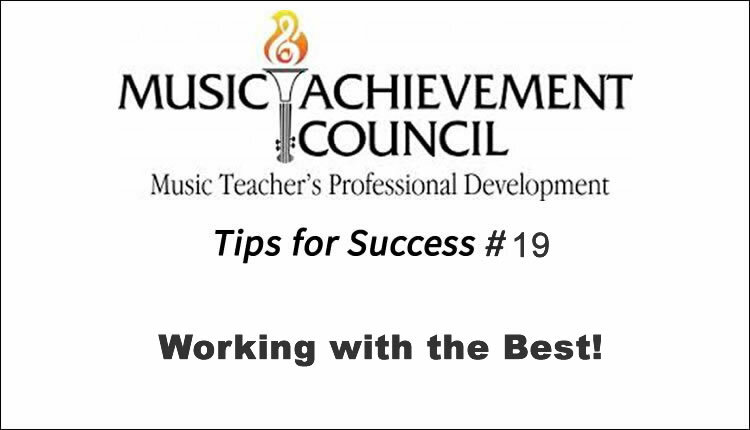 Can this candidate be successful working with your students in your district? The best way to find the answer is by asking him or her to conduct a rehearsal or teach a class. While there are never any guarantees, this is the most critical part of the process to ensure that you have found the right person. Do whatever it takes to make this happen. Recruit a group of students to serve as a summer interview ensemble, promise pizza or offer one of your classes for the demonstration lesson.